We tried this recipe out at a Mamabake we had the other day. It was a huge success, so much so, there were none left for us to take home. Whizz the sunflower seeds in a food processor with clove until very fine. Whizz the dates and coconut until fine and sticking together. Pour sunflower seed mixture back, and cinnamon in and mix. Add grated carrot and whizz until mixed. Add coconut oil if required, to help reach desired consistency. 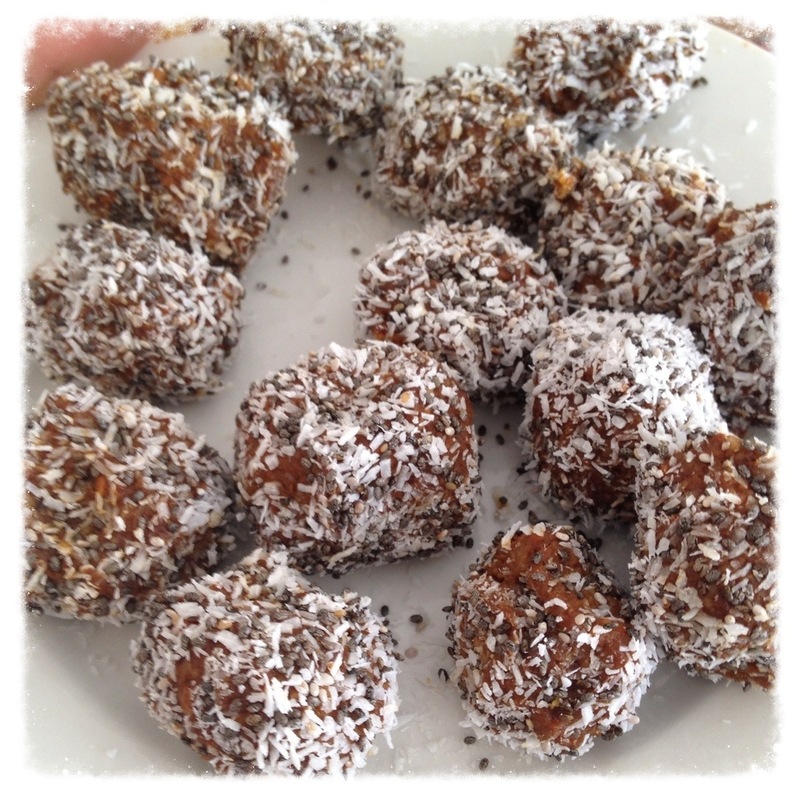 Roll in to balls and then roll through coconut and chia seeds to coat. Throw them in the fridge to firm them up. I found the mixture to be quite moist, both times I made it, so maybe some more playing with it can help it firm up a little. They don’t last long though, BallinaGirl keeps sneaking them out of the fridge! I love carrot cake but never had them as balls. How fun.